As of Feb. 20, 2018, Utah Lake State Park remained closed due to ongoing construction activities associated with dredging the marina. The park is currently scheduled to reopen to the public in May. Marina dredging is an important part of ongoing park maintenance and is a rather large undertaking. Because of this, it was determined for safety reasons and with no facilities available to the public to close the park to public access. While the main launch ramp, visitors center and parking lot have “Closed” signs posted, the closure also includes the river bank exposed below the high-water mark of the Provo river within the boundaries of Utah Lake State Park. Signage in these areas is posted. The closure will remain in place until the conclusion of the construction project and includes fishing from the river banks within the boundaries of the state park. Those who access these closed areas during the closure may be issued citations for trespassing. 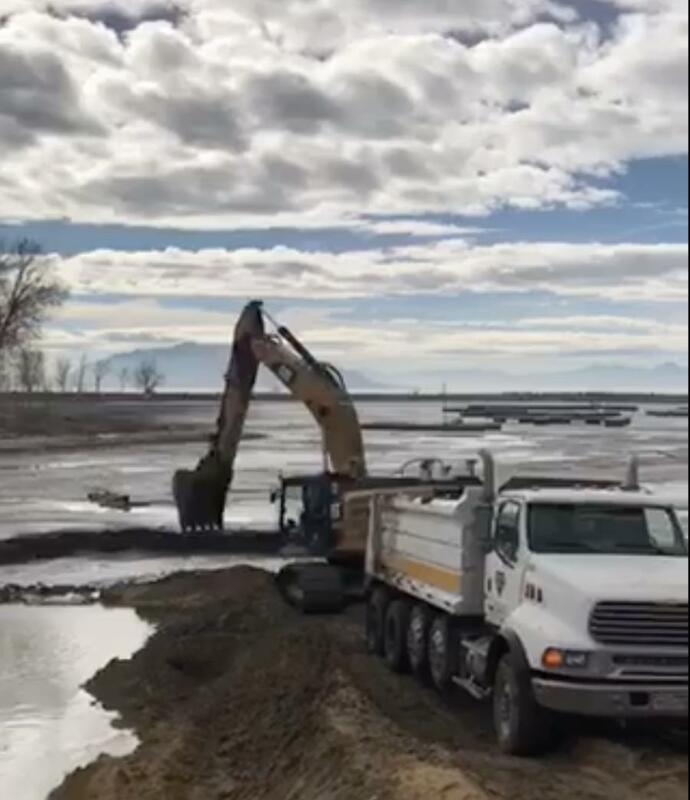 The Utah Division of Parks and Recreation staff are excited to see the ongoing progress at Utah Lake State Park and are looking forward to unveiling the improvements in the coming months. Those looking for more consistent updates on the happenings at Utah Lake State Park are encouraged to follow the park on Facebook, as well as the park's webpage. For more information, visit stateparks.utah.gov/parks/utah-lake/.